Rojava is now under threat of a full-scale attack and invasion from Turkey, which would mean an all-out war. Turkey’s dictator Erdoğan has threatened to crush this progressive revolution, invade and occupy Northeastern Syria and ‘bury’ the Kurds. There are calls coming from all related democratic structures in the region, and internationally from the diaspora and solidarity groups, for people all over the world to rise up in defence of Rojava and its values of direct democracy, gender liberation and ecology. Some of our followers have been asking if we will continue working on our long term plans under these conditions. What if we help to build infrastructure for co-operatives in Rojava, only to have them destroyed or taken over by Turkey, or its equally fascist proxy militias if they invade? We want to make clear that we will go ahead with all of our plans and projects. From the announcement of the Rojava Revolution in July 2012 and throughout the continued war, people in Rojava have been working hard to develop the society positively in every way possible, simultaneously, while fighting the Islamic State at the same time. The answer is that if the new society is not developed, then the enemy has already won. If there is no new communal justice system, no women’s committees, no neighbourhood assemblies, then what is the revolution? If economic projects and co-operatives are not formed, then the people will have no livelihoods, will go hungry, or will leave the region. In order to win, you must believe that winning is inevitable. If we believe we will lose, then we are doomed from the start. 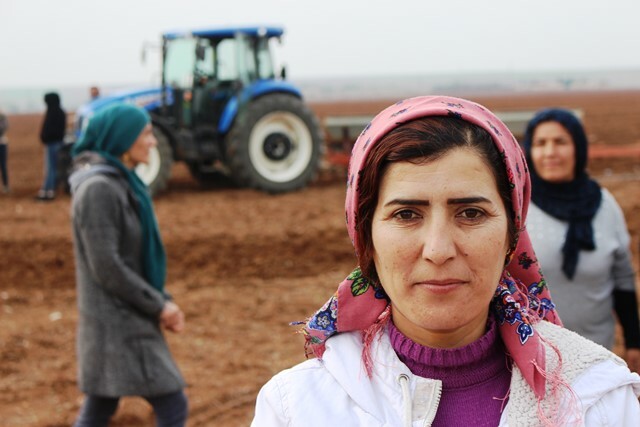 With this in mind, we will continue working together with the women’s economic structures of the Autonomous Administrations of North and East Syria – the current name for the autonomous region still popularly known internationally as Rojava. We will continue building projects of solidarity, continue raising awareness about the revolution, and we will develop our collaborative plans for a renewable energy co-operative, a co-operative twinning project, and more. We will continue to do this because these projects and the awareness they raise are a part of defending the revolution. And at the same time, we will take to the streets and raise our voices along with our friends, comrades and fellow co-operators. Join us and other co-operators in the solidarity bloc at the demonstration in London on 27 January – meet 12:30pm Cavendish Square to join the main demonstration together at 1pm.